There is more to the modern classroom than the 3 R’s of “reading, writing and arithmetic.” Modern educators and campus facilities managers are looking for a classroom that has flexibility, promotes collaboration and encourages active learning. 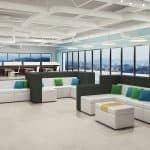 What makes Systems Furniture’s approach to creating a successful classroom and campus unique is our combination of interior design and education furniture experts. We plan classrooms, offices, library learning centers, cafeterias and social spaces and even suggest ways to enliven a long, dark hallway. 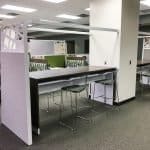 Our goal is to meet your budget and to provide an environment where students and faculty are connected and engaged. 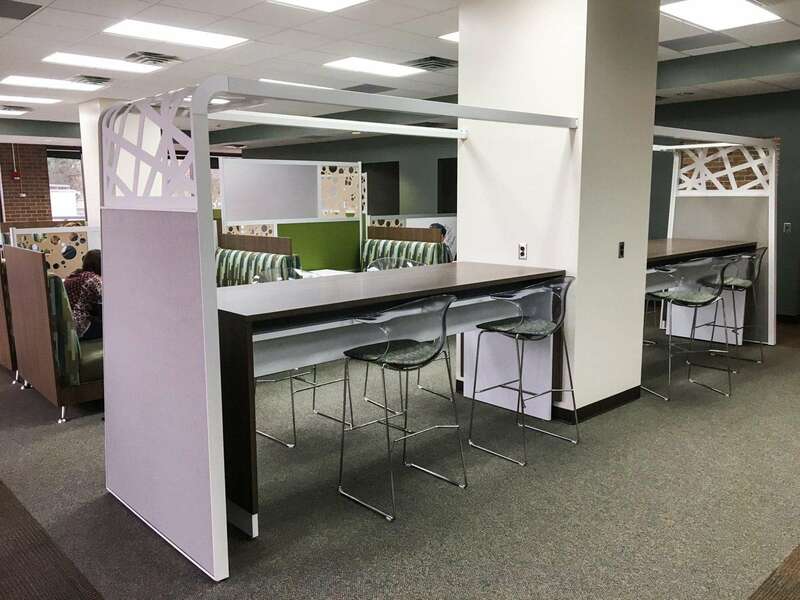 Interior Design – Looking for help to provide a campus-wide identity, excite student learning and keep students on campus using their libraries and cafeteria? Our interior designers use unique room layouts, colorful textiles, wallcoverings and specialty lighting to make ordinary space extraordinary. 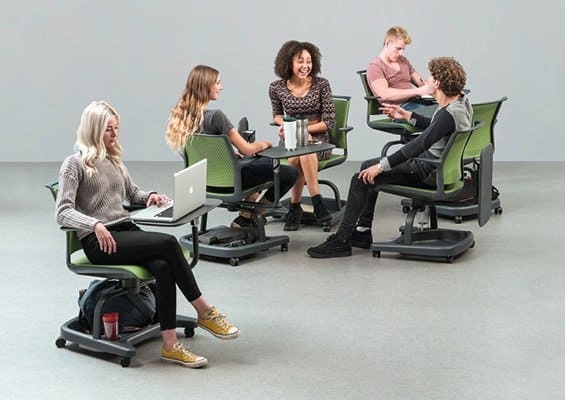 Classroom – Education furniture needs to be flexible and easy to reconfigure. 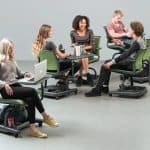 The Ad-Lib Scholar chair, made by Senator, moves easily from a classroom setup to a collaborative work configuration. It has a foldaway tablet and under seat storage. The Zenergy ball from Safco is a seat where fidgeting can be fun. 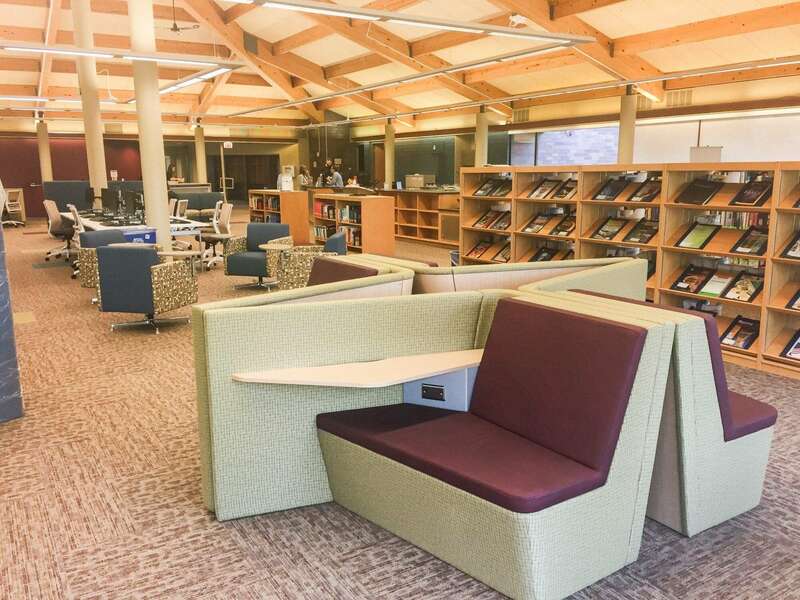 Library Learning Center – Systems Furniture’s education team has worked with universities, technical colleges and high schools to transform traditional libraries into vibrant spaces that attract students. 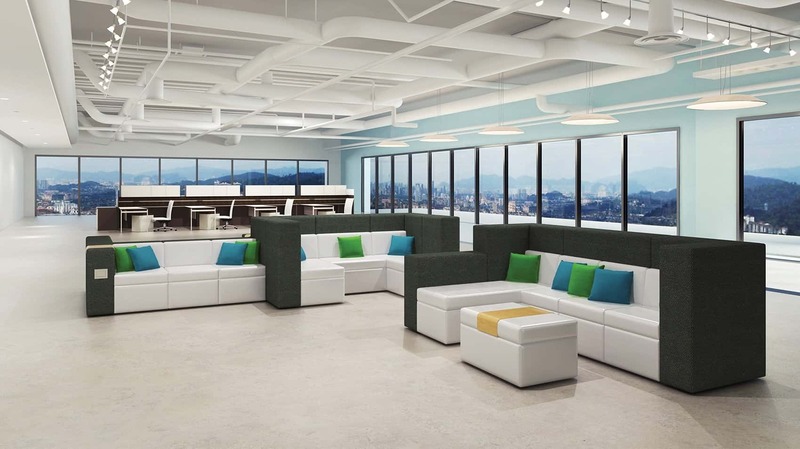 Our education team suggests custom-designed help desks, lounge seating, café height tables and chairs, and even bright, high-flying Lightform Sculptures® from Studio Lilica. 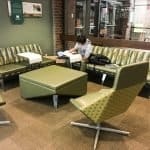 Social Spaces – A comfortable seating arrangement can be a place to meet with fellow students or a quiet spot to work on a project. 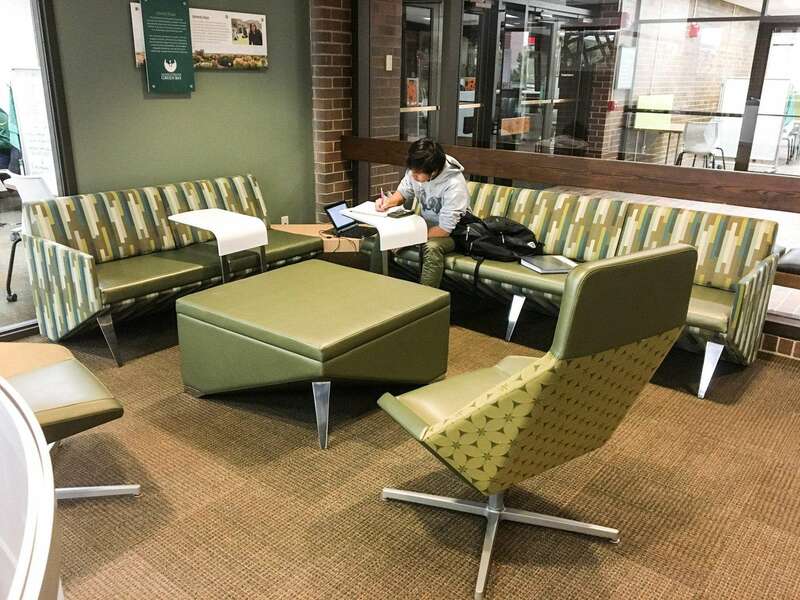 Tangent from Loewenstein offers a modular set of upholstered benches, backs and ottomans that can be configured and reconfigured to suit the space. 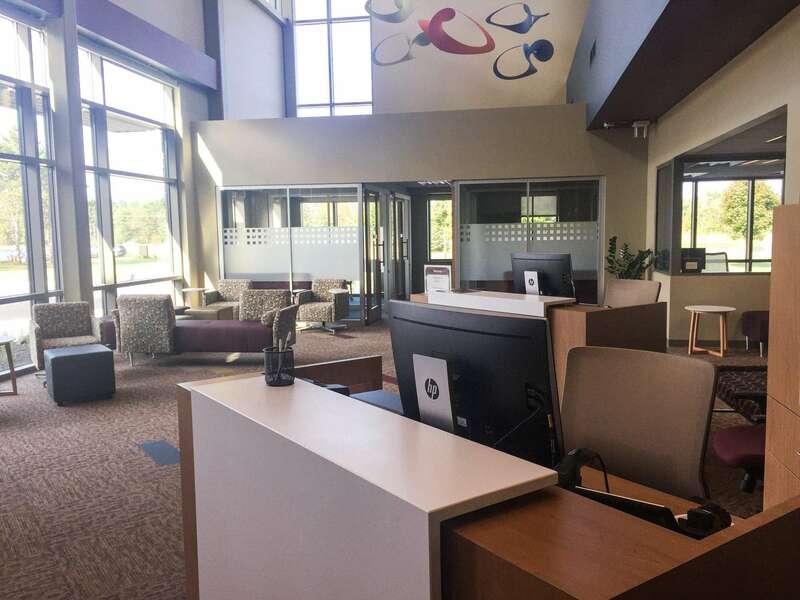 Systems Furniture’s interior designers and education experts open the door to new ideas for education furniture and collaborative area seating throughout northeastern, central and northwestern Wisconsin. Call us for a consultation at 920-336-1510. 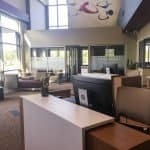 Our account managers travel to Fond du Lac, Appleton, Green Bay, Sheboygan, Eau Claire and beyond. 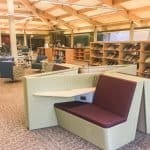 Our website, sysfurniture.com is a great place to start your research.